Another Example of Corporate Media Censorship at Work. Browse: Home / Another Example of Corporate Media Censorship at Work. The BBC didn’t cover this while the so-called Independent newspaper described the march as being organised by a group accused of “giving cover to the far-right“. In reality it was a protest march against “extremism” of any type and it drew as many as 40,000 protesters. However, despite the large number of participants, there was a virtual news blackout over the event. As one correspondent noted, this was an example of “shameful of MSM censorship …. I knew NOTHING about this massive march on 7th October and I live here”. Ed. A march against extremism was undertaken by members of the FLA, the Veterans Against Terrorism and joined by the Ghurkhas at Trafalgar Square. 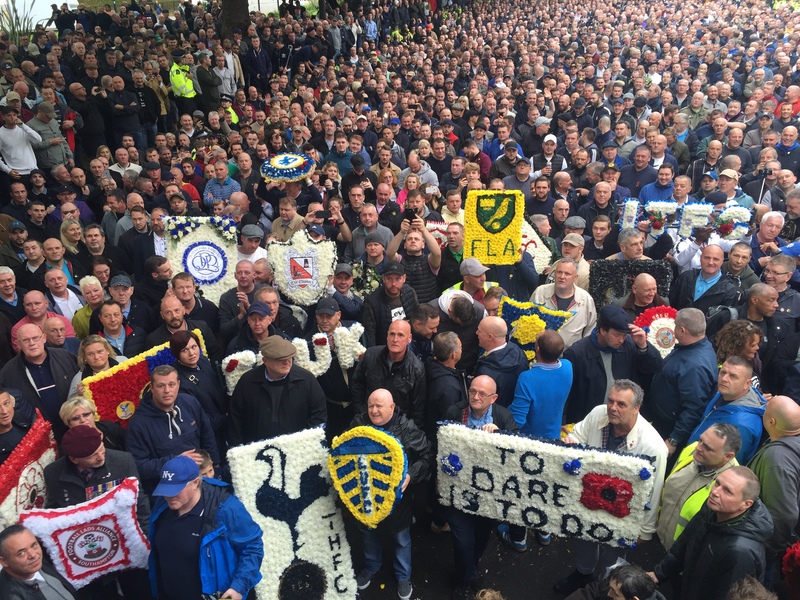 Over 40,000 people including fans from nearly every football club in Britain as well as some from Europe marched from Park Lane to Westminster Bridge where wreaths were laid in honour of people killed from recent extremist acts. 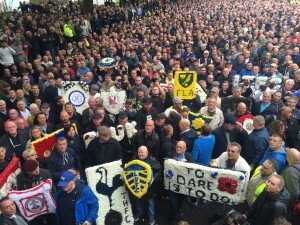 The FLA would like to thank each and every person who turned up for Saturday’s march. They also would like to thank all of the people behind the scenes that made it possible, and the Metropolitan and City of London police for their co-operation. 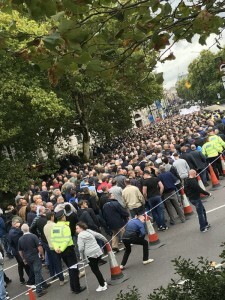 After the success of the first march, the police were well-disposed towards the FLA saying the first march was well behaved and they expected this one to be no different. They were proven correct as there were no arrests. Conservative official estimates put the attendance of the march at 40,000. The FLA would also like to thank the media and press that reported on the march impartially without prejudice. Notably the Evening Standard (online) and the Express (online), as well as the Daily Star. The FLA does, however, take issue with the agenda of the (so-called) Independent newspaper, who seem to be reporting with some prejudicial bias – to an extent that other journalists have been taking them to task about their journalistic ethics. Footage from the march that was made available to them, by an independent source, clearly showed the vast majority of the people on the march to be ordinary members of the public, marching against all forms of extremism, to make the world a safer place for our children and grandchildren. John Meighan the FLA founder said “We also question the Independents motive for ‘’setting up shop’’ amongst the Stand up to Racism protestors who were incidentally only there for the FLA march. The FLA has a strong anti-racist stance and has no political or religious agendas. They oppose ANYONE who tries to impose their beliefs, will or politics on others via terrorist acts. No arrests were made which is exceptional when over 40,000 people are marching, however, there were a handful of unwelcome visitors who tried to cause trouble. Mr Meighan went on to say “The FLA in no way condones the comments of a handful of unwelcome individuals who verbally abused the ‘Stand up to Racism’ protest. 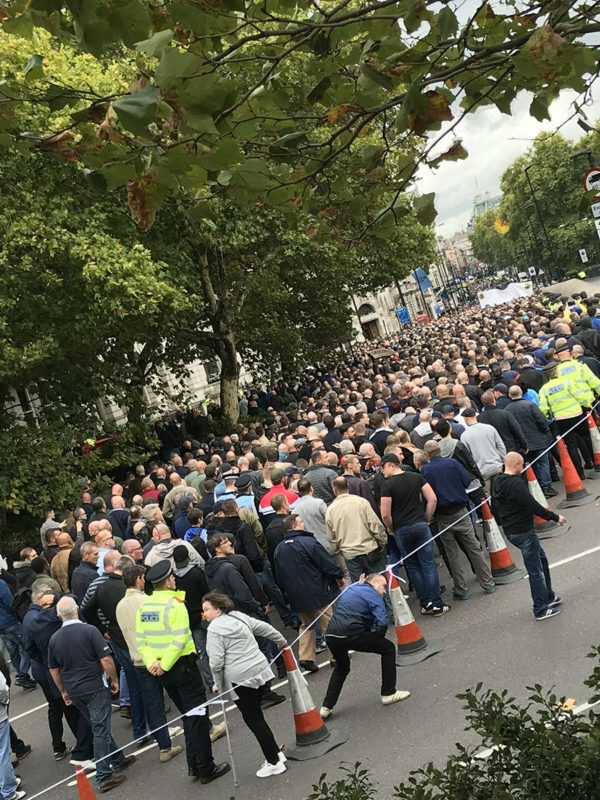 The FLA organisers clapped the ‘Stand up to Racism’ protestors and sang ‘Stand up to Racism’ as the police liaison officers at the front of the march would be able to confirm. The FLA also pointed out that Tommy Robinson is in no way connected to the FLA and was there in his role as a reporter for @TheRebelITV, as the mail online article clearly shows. The FLA would like to invite Diane Abbott to come and meet with the founder so that she can find out first hand for herself, what they care about, rather than prejudging them and trying to pigeonhole the people that follow them from all walks of life. It is now the intention of the FLA to get 100,000 signatures together and petition parliament for answers. The FLA do not as yet have infrastructure in place that an organisation of such a size requires. To some degree, they are a victim of their own success.